SoftBank and Bloom Energy are forming 50/50 Joint Venture to bring Bloom's fuel cell technology to Japan. Bloom Energy's fuel cells are currently deployed in the United States by clients including AT&T, Google, eBay, The Coca Cola Company, Walmart and others. In June 2013, Verizon announced plans to install Bloom Energy fuel cell systems at three of its California-based locations: two call-switching centers in Los Angeles and San Francisco and a data center in San Jose. The solid oxide fuel cells are expected to generate more than 16 million kilowatt hours of clean electricity for Verizon in California each year. 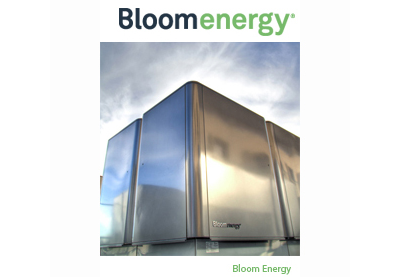 NTT America is also using Bloom Energy servers in California. RiverMeadow Software, a start-up based in San Jose, California and Westford, Massachusetts, has updated its automated server migration solution developed specifically for carrier and service provider clouds. With AWS, Most of the workloads are spun up as greenfield (new workloads). RiverMeadow's goal is to make the difficult process of moving out of AWS fairly into a simpler and automated process. RiverMeadow also aims to simplify migration into and between the various OpenStack clouds and other cloud OS's. Nissan has selected AT&T and Sirius XM Radio to provide mobile connectivity to support a suite of security and services for Nissan automobiles in North America. SiriusXM's in-vehicle telematics solution will provide Nissan vehicle owners 24/7 emergency support for accidents, stolen vehicle tracking and roadside assistance by using a combination of satellite and cellular networks. 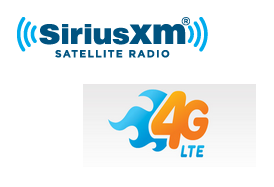 The architecture will allow SiriusXM to take advantage of both one-to-many and one-to-one network connectivity. "Your future car is going to be a smartphone with four wheels with powerful capabilities specifically built for a safe and enhanced customer experience," said Glenn Lurie, president of AT&T Emerging Enterprises and Partnerships Organization. "By adding fast, reliable and built-in mobile internet for SiriusXM's forthcoming in-car experience, we are powering a connected experience inside Nissan automobiles for both drivers and passengers." Puppet Labs, which develops IT automation software for system administrators, has acquired Cloudsmith, a developer of tools for rapidly building and testing infrastructure automation. Financial terms were not disclosed. Puppet Labs’ software is used by enterprises to configure and manage their IT infrastructure. Cloudsmith is the developer of Geppetto, an integrated development environment (IDE) for building and publishing Puppet modules. The company also developed Stack Hammer, a service for integrating, testing, and deploying collections of Puppet modules as complete “stacks” through integrations with GitHub and Amazon EC2. Following the acquisition, both Geppetto and Stack Hammer will continue to be developed and supported, and all Cloudsmith employees will be retained and integrated into Puppet Labs. Membership in the Open Networking Foundation (ONF) has now surpassed 100 companies. The newest additions are TorreyPoint, Coriant, and Virtela. The ONF was created in 2011 as a non-profit organization dedicated to promoting Software-Defined Networking (SDN). CommScope introduced a bundled solution for fiber-to-the-antenna (FTTA) site deployments where where remote radio units (RRUs) are installed at the top of cellular towers closer to the antennas, reducing loss and improving system performance. 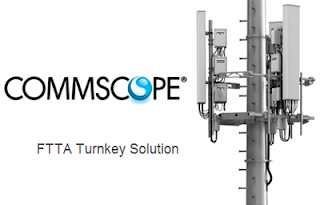 The company says its FTTA Turnkey Solution, which part of the Andrew portfolio of wireless solutions, standardizes RRU installation while bringing simplicity, consistency and performance assurance to a technologically and logistically complex application. ADVA Optical Networking announced Q2 2013 revenues of EUR 78.4 million in Q2 2013 -- slightly above guidance of between EUR 73 million and EUR 78 million. This is down 8.7% vs. Q2 2012 at EUR 85.9 million and up 1.7% vs. EUR 77.0 million in Q1 2013. IFRS pro forma operating income, excluding stock-based compensation and amortization & impairment of goodwill & acquisition-related intangible assets, amounted to EUR 1.5 million or 2.0% of revenues in Q2 2013, at the upper end of guidance of between -2% and +2% of revenues. This compares to EUR 6.8 million or 8.0% of revenues in Q2 2012 and EUR 0.8 million or 1.0% of revenues in Q1 2013. "We are pleased with our Q2 2013 results which were achieved in a volatile macro-economic environment. At EUR 78.4 million, our Q2 2013 revenues are above guidance and are up 1.7% vs. the previous quarter. Our pro forma gross margin strengthened from 38.6% in Q1 2013 to 39.9% in Q2 2013. 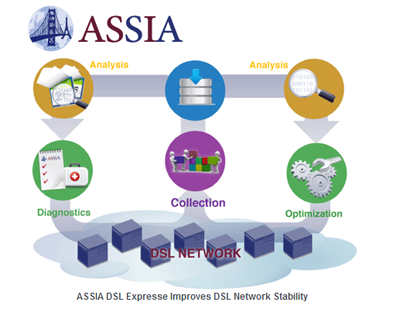 This improvement is due to changes in product and customer mix and also demonstrates our focus on managing operational costs, " commented Jaswir Singh, chief financial officer & chief operating officer of ADVA Optical Networking. ARRIS announced the commercial release of its new E6000 Converged Edge Router (CER), which continues the legacy of the company's widely deployed C4® Cable Modem Termination System (CMTS). 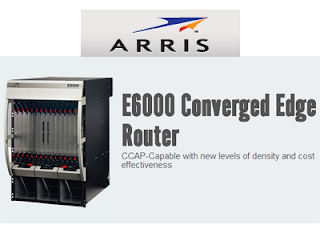 The ARRIS E6000 CER delivers new levels of density with the an integrated architecture that has the capability to realize the vision of CCAP — the convergence of high-speed data, voice, and MPEG video service delivery from a single F connector. "We're excited to declare the General Availability of the E6000 CER," said Bruce McClelland, President, Network & Cloud Global Services, ARRIS. "Operators today are benefitting from the unrivaled efficiencies of the E6000 CER – in rack space, power consumption, cooling, advanced services and new applications." "The E6000 CER software is based on that of the C4 CMTS, which enables seamless deployments," said McClelland, "Cable operators who deploy IPv6 with the E6000 will benefit from years of operational IPv6 experience gained with the C4 CMTS and from an unprecedented level of service group and channel density, both upstream and downstream." 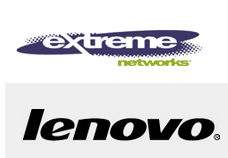 Extreme Networks announced a strategic global reseller alliance with Lenovo, the world's #1 PC maker. Lenovo will provide its campus, data center and cloud customers with open, high performance, and reliable converged infrastructure addressing data center and cloud initiatives. "Addressing customer needs for cloud and data center today hinges on integrating the network stack with proven solutions for computing, storage and networking," said Darrel Ward, Vice President of Marketing, Lenovo Enterprise Products Group. "With Extreme Networks, we have found an excellent partner that will enable Lenovo to deliver a complete, open standards-based solution that will play a central role in allowing our customers to meet their goal of establishing cost-effective and scalable architectures." "The Extreme Networks and Lenovo partnership for converged infrastructure demonstrates our commitment to open networking innovations addressing the Cloud-ready data center," said Eileen Brooker, vice president of strategic alliances for Extreme Networks. "This global go-to-market partnership for servers, storage and switching helps customers to deploy high performance systems that are reliable, fast and scalable." 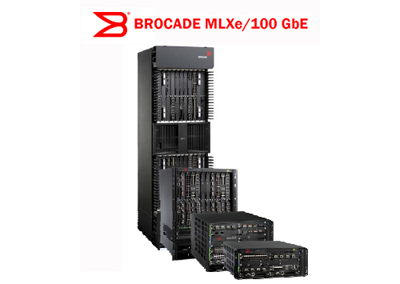 The Defense Information Systems Agency (DISA) has approved the Brocade MLX and MLXe 100 Gigabit Ethernet (GbE) networking solutions to be added to the Unified Capabilities - Approved Products List (UC-APL), which tracks products that have completed Interoperability (IO) and Information Assurance (IA) certification. The newly certified Brocade networking solutions can be deployed by Department of Defense (DoD) agencies. "With one of the largest and most complex network environments in the world, the Department of Defense required access to the most robust and flexible network solutions available. DoD network capabilities must meet the challenges posed by the massive influx of data, devices and applications that defense organizations are supporting today," said Anthony Robbins, vice president of federal, Brocade. "Brocade realizes that maintaining uninterrupted network connectivity is essential to meeting DoD mission priorities, and we are proud to be included as part of the DoD UC-APL."